I don’t remember being shorter than my homeroom teacher in the grade 9 class photo, but I was. By the end of grade 10 I was a hockey stick with hair, skinny as a rail yet coordinated enough to make the Juvenile Basketball Team and then the Junior Basketball Team at Oakwood Collegiate in Toronto. I played my final year of high school basketball as a starter for the Senior Boys Team at Vancouver Technical Secondary. 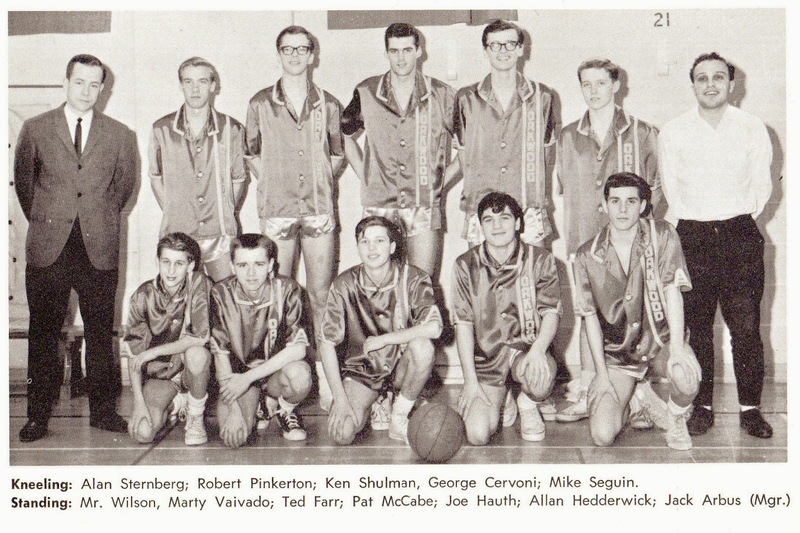 This team picture is from Oakwood Collegiate in 1965. But, being tall isn't everything it’s cracked up to be. And the arms on shirts were always too short. Even when you did get a pair of pants with leg length, one wash in the hands of your mother and the shrinkage showed off your socks. Cold washing in her world was what you did when camping. There were no stores specializing in clothes for tall people back in the day. It didn't matter anyway. When outlets like Mr. Big and Tall surfaced, you were still inches too skinny for their smallest waste size. In sports, hockey pants were too short and so were shin pads. Hockey sticks never had to be cut down. Me, I just bent over more. The women I was attracted to were often a foot shorter than me or more. I just never met many tall girls in high school. What about banging your head? Sometimes even doorways were so short you had to duck. The worst places were basements and stairwells. Did you take to wearing hats to cover your injuries? I did. Beds with foot-boards were a huge pain. There was nowhere to go but kitty corner. Are your legs long enough that you turn many 4-seat vehicles into 3-seaters? To accommodate my leg length the seat is pushed back to its limit. In many vehicles, there isn't enough room behind me for even a child. And don’t talk to a tall person about leg room on airplanes. We haven’t even touched on the troubles of tallness that are unique to women. Yes, I did. At 6’4”, I wasn't the tallest player in the high school leagues but I was close. I've always said I should've been either 2 inches taller or 2 inches shorter. Had I been 6’6”, my university basketball career would've lasted longer. More on that in a minute, and had I been 6’2”, I would've been able to buy pants that fit. This tall person took to basketball easily. I played through high school in both Toronto and Vancouver. I was good enough to earn a small scholarship to a school in Texas where I encountered players much taller than me. I went from being a center in high school to power forward and then guard in university. It was the first and only time I had to check an opponent so tall I was actually looking up his nose. When I decided that the quality of the education offered in the Deep South was less than inspiring, basketball brought me home to junior college in Vancouver. It was basketball that launched my career in broadcasting but that’s a story for another day. You get used to the simple fact that, like it or not, you are a target, especially since I also went bald in my early 20’s. No my name is not “stretch”. I guess you’re the first to know when it’s raining. It’s been a tactic of mine to strike first. Self-deprecating humour works. I find baldness funnier than tallness. I’m just a 6’4” guy with 6’2” hair. Yes, I outgrew my hair. No it’s not any colder up here than it is down there. 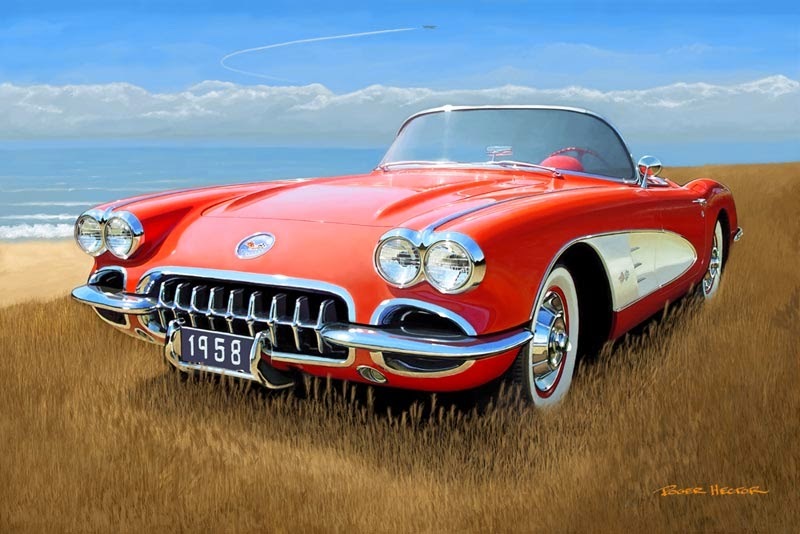 I was and am fascinated by the Corvettes of the late 1950’s. My uncle in Ontario was a dealer collector of antique and classic cars. I remember going to visit him way back when. I was probably 18 at the time. In his driveway was a beautiful 1958 Corvette roadster. It was red with silver inserts along the sides. The top was down. It was a 327 cubic inch engine with a 4-speed transmission. My uncle opened the front door of his house and threw me the keys. I opened the Corvette door and squeezed my frame under the massive steering wheel, put my foot on the clutch and closed the door. I couldn't get my foot off the clutch! My knee would jam against the back of the steering wheel. So, I opened the door and took my foot off the clutch. Now I couldn't get the door closed because my knee was jammed between the steering wheel and the door. My uncle just laughed. He told that story many times. The earlier Corvettes were made for shorter people. No one has ever felt sorry for me nor should they. Many times I've had friends offer to trade a few pounds for a few inches. Stores now stock clothes that fit and vehicles are made with leg room. Beds are not only wider but longer. The best asset for a person of any size is a sense of humour. I've always tried to laugh at myself and make those around me laugh too. 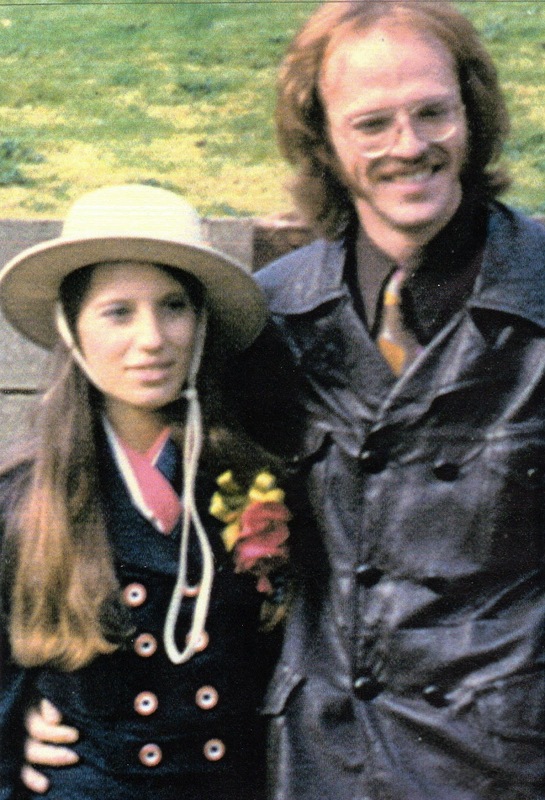 I never did meet a tall woman but the one I married….well, it’s the long and the short of a pretty darn good love story. PS. I write a column for a magazine called North of 50, published monthly in the Okanagan Valley. A version of Are You a Guy Baby appeared in the March issue.